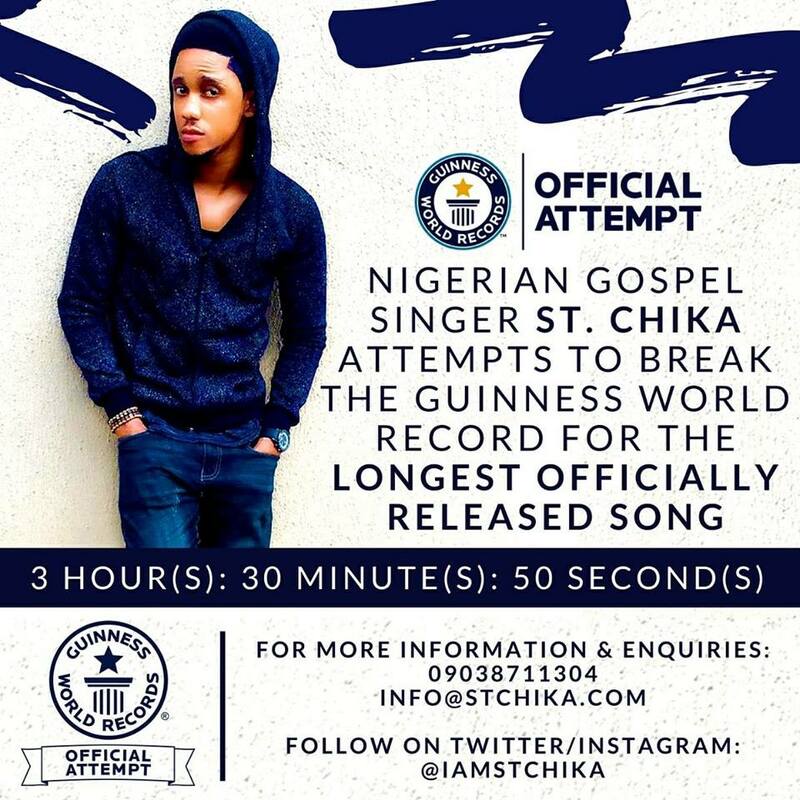 The 27-year-old contemporary gospel singer, songwriter and recording artist is attempting to break the world record for the 'longest officially released song' by recording and releasing a single gospel song of 3hrs, 30 minutes, 50 seconds on iTunes, Amazon.com, Spotify and Google Play. Chika Nwaogu is a graduate of physics science from the University of Lagos. He started singing, playing the instrument and writing his own songs when he was eight years old. He draws his inspiration from gospel acts such as Travis Greene, Nathaniel Bassey, Eben, Joe Praize and Sinach to mention a few.